Why Inspect a New Home? 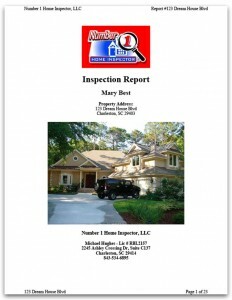 Why does a newly constructed home need an inspection? A builder or contractor is overseen by a state or local building official, however, few municipal inspectors spend anywhere near enough time in the home to fully check it out. Further, there could be problems with the home that are not necessarily code violations, yet have serious consequences for the new home owner. Many subcontractors are in a hurry to get to their next job, the next subcontractor comes along and messes up the previous subcontractor's work, and many site managers don't have enough time to be on top of everything that goes on in each home being built. Our New Construction Inspection inspects all new, altered or renovated residential and commercial construction. Inspections include: building, electrical, plumbing and mechanical. When a property is under construction there are many things that can go wrong, which may take years to surface. Errors during construction can often lead to expensive repairs in the future. Construction defects can be expensive to repair after the construction has been completed, but many can be easily fixed if they are discovered while construction is still under way.